One of the things I like about writing Space Marines is getting behind their facades of genetic superiority and unflinching devotion to discover the humanity beneath. No matter how augmented a Space Marine becomes, at his core he’s still human and subject to all the virtues and flaws that entails. As some of the senior Ultramarines are beginning to discover, their Chapter Master is perhaps not shining paragon of virtue they have always believed him to be. Truths came out during the war against the Bloodborn that have rocked them to the core. 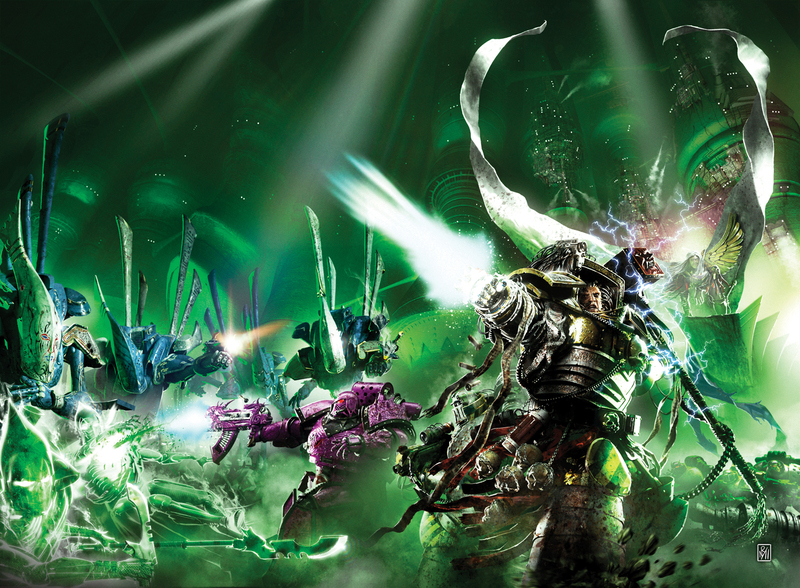 And, perhaps more shockingly, Marneus Calgar made mistakes during that campaign. He was baited into reckless action that cost the Chapter dearly and the blood of those who died under his command is a stain that’s hard to wash off. In the wake of that war, victorious though it was, there are unsettling whispers within the ranks of the Ultramarines, whispers that the status quo is something to be challenged. The Chapter Master of a Space Marine Chapter bears burdens none of us can imagine, and is tasked with making unthinkable choices that affect the lives of millions. Most Chapter Masters are limited to a single world or fortress monastery to protect, but Calgar has an entire stellar empire to defend. And he’s doing it at far less than full strength, beset on all sides by enemies from without and, it transpires, political manoeuvring from within. At hand is one of his most trusted counsellors, but the wisdom he brings is unlooked for and unwelcome. Grim times await the Ultramarines.